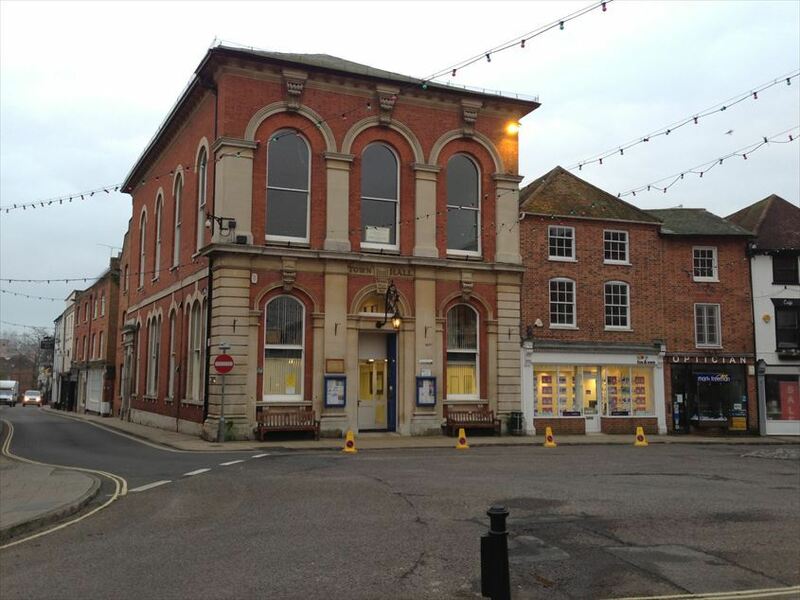 Mynt Image are pleased to announce that we have now managed to acquire the use of the town hall in Romsey. Working with the town council we aim to provide the market town of Romsey and its inhabitants with an additional community event. The Town Hall is close to the central area of Romsey town, and provides an ideal location for the dynamic marketing style of a Mynt Image Craft and Gift market. The hall is located adjacent to the entrance to Romsey Abbey, in the summer months a real tourist and local attraction. Tables will be supplied at Romsey, there will be 30 tables/stalls. We use the first floor and there is no lift so this needs to be taken into account when booking. Romsey is an ancient Hampshire market town with a population of more than 17,000. It is 7 miles northwest of Southampton, 11 miles southwest of Winchester and 17 miles southeast of Salisbury. Romsey is one of the principal towns in the Test Valley Borough and lies on the River Test. Romsey Abbey, the largest parish church in Hampshire, dominates the centre of the town. Romsey Abbey is a Norman abbey, originally built during the 10th century, the surviving Anglican Parish church of Romsey, now the largest parish church in the county, is the town's most outstanding feature and is open daily to visitors, being especially popular in summer months. The town hall is close to the centre of the town and adjacent to the very popular destination of Romsey Abbey. Whilst heavy industry in the town has declined, three industrial and trading estates focus mainly on service industries and small-scale manufacturing. The town centre contains a Waitrose supermarket, an independent department store (Bradbeers), and other retail outlets, including high street chains and independent shops. Romsey is within 10 miles (16 km) of both the M27 and M3 motorways, providing fast links along the south coast and to London, and to the Midlands and the North via the A34. The A36 runs a few miles west of the town, providing a direct route to the West of England and South Wales. For help finding the venue please visit the 'Finding the Romsey Town Hall' page by clicking here! If there is no form displayed above this notice then please access this page from a different device.